If there is one thing more annoying than waiting for your hair to get longer, it's having dry hair. No one likes it or the way it makes the hair look and feel. The only good thing about dry hair is that it can easily be corrected. All it takes is knowing what caused the dry hair in the first place, then knowing what to do to correct it. Today I will solve both of these issues for you! 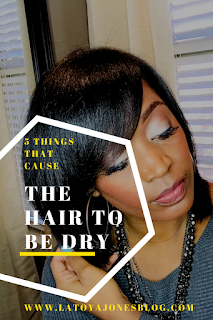 Here are a five things that cause your hair to be dry. dry hair due to too much heat, permanent color, and neglect. Permanent hair color- If you are not careful, getting permanent color, especially if it is too light. That's why a lot of the time women with color complain about the dryness of their hair. You can keep your color treated hair properly moisturized by using the by L. Jones Extreme Moisture Shampoo, Leave-In Conditioner, and Intense Moisturizing Treatment. The shampoo adds moisture and silk to the hair and does not contain sulfates or parabens, so it will not strip the hair. The Intense Moisture Treatment has ten moisturizing agents in it to keep the hair from being brittle and dry, and the Leave-In Conditioner adds an extra layer of moisture to the hair while also acting as a heat protectant. Too much heat- Besides causing breakage, using too much heat on the hair will also dry it out. 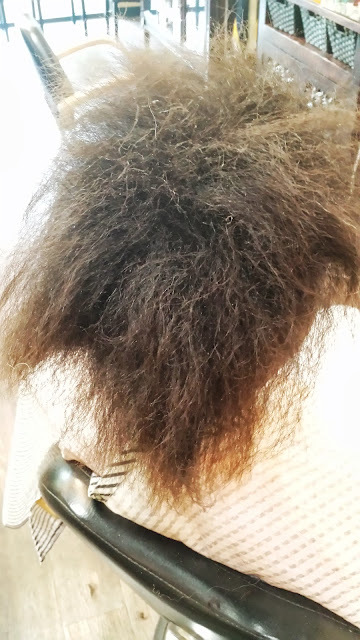 Only use heat in your hair once per week or less to avoid this, and use a heat protectant that won't weigh the hair down like the by L. Jones Leave-In Conditioner. 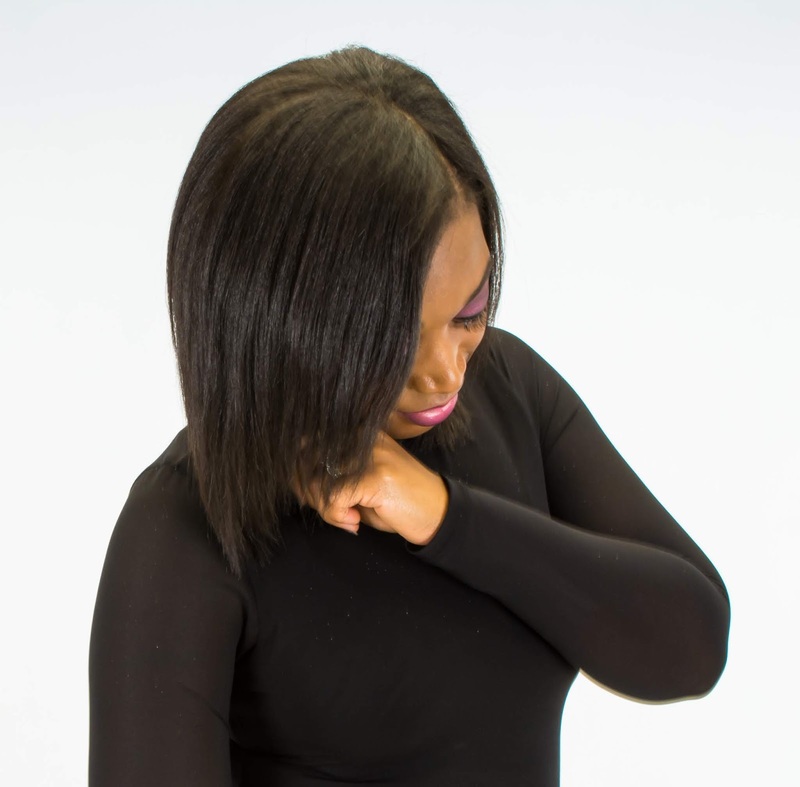 Using too much protein- Many women tend to overload on the protein when their hair starts breaking in order to stop the breakage. The problem is that too much protein leads to not enough moisture which leads to dry hair. Healthy hair has an equal balance of protein and moisture. Balance the protein out by following up with the by L. Jones Intense Moisture Treatment. Overexposure to the sun- Being out in the sun for long periods of time can lead to your hair drying out. When you plan on being out in the sun for extended periods, try pulling the hair up or putting a hat on (a cute one of course lol) to protect your hair. You can also apply the Leave In Conditioner to the hair without it being weighed down or becoming frizzy. Not drinking enough water- Not drinking enough water not only causes dry hair, but dry skin as well. Drinking at least 48oz per day does wonders for the hair. Dry hair is definitely not a good look for anyone. But luckily it can be easily taken care of by getting to the root of the problem and using the right hair products. Using great quality products like the conditioners in my very own personal line by L. Jones and taking great care of your hair will have you well on your way to moisturized hair.